The end of December through to New Years Day is always a time when police crack down on drunk drivers, because this is a time when traditionally there are many intoxicated motorists on the road. Each year on New Years Eve, many drunk driving accidents, and many drunk driving arrests, are made by police working overtime. Police increase patrol activities and set up checkpoints in order to try to catch impaired drivers. While Texas law prohibits these DUI roadblocks, there will be no shortage of officers picking up overtime pay on roving patrols in search of drunk drivers. If you are going out for any festive occasion this holiday season, it is important to remember that police will be on the lookout for any signs of intoxication and that there are going to be more police on the roads watching for drunk drivers. 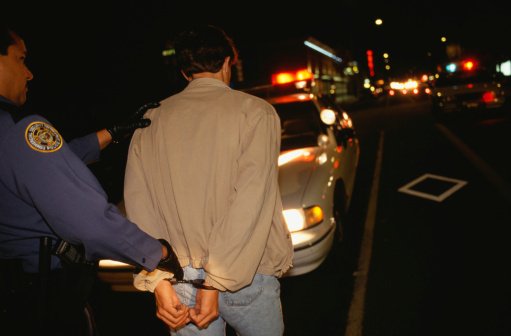 For those who are pulled over and arrested for being intoxicated behind the wheel, it is important to speak to a Houston DUI defense attorney for help. Police can sometimes be overzealous or use overly aggressive tactics to try to find drunk drivers during this time of high enforcement, and you could become just another arrest statistic. One of the big reasons why there are more police on the road around the holidays is because of the Drive Sober or Get Pulled Over Campaign. This is a national campaign that occurs in states throughout the U.S. and that the National Highway Traffic Safety Administration (NHTSA) promotes. The Drive Sober or Get Pulled Over Campaign runs from December 13, 2013 to January 1, 2014 of this year. The campaign involves law enforcement agencies in Houston and throughout the United States getting grants to help put more officers on the road and to help facilitate the creation of drunk driving checkpoints on New Years Eve. The money makes it possible for local law enforcement agencies to cover larger areas and to have more manpower dedicated to finding motorists who may be intoxicated. Starting off the New Year with a drunk driving arrest could be disastrous if you are caught up in aggressive police efforts that are part of the Drive Sober campaign. While it is always a good idea to have a designated driver before having any drinks, it is especially important at a time when you know that there is a major risk of arrest. For those who are arrested, it will be important to determine if your Constitutional rights were violated by police eager to make an arrest. Even with the Drive Sober campaign, police cannot just pull you over and require you to submit to a test of your blood-alcohol content unless they have probable cause to believe that you are breaking the law. Without probable cause, any evidence that law enforcement collects against you showing that you were intoxicated will not be able to be used against you since it was illegally obtained. An attorney can review the facts of your arrest to determine if you can keep evidence from being used to secure a conviction.